CEBU’S endurance athletes made their presence felt in the grueling obstacle course of Spartan Race Malaysia in Iskandar Puteri, Johor Bahru on Saturday, Dec. 1. Team Spartan Cebu-PH finished the competition with the fastest average time of 8 hours, 58 minutes and 46 seconds, beating the other teams by almost an hour. Team Singapore and Team Reebok SG were ranked second and third with average times of 9:56:39 and 9:59:50, respectively. 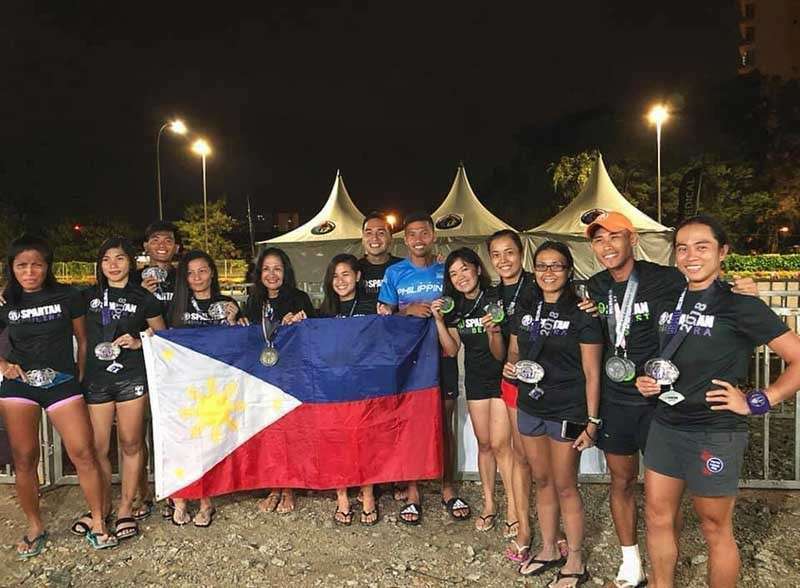 The Cebuano athletes showed their wares in the Ultra Beast category, which had a 50-kilometer distance and more than 70 obstacles. Mohammad Sherwin Managil was the best performer for the team with a seventh overall finish in the men’s elite division after clocking in at 7:26:00. Managil is the only Filipino in the elite Top 10. He earned a ticket to the Spartan Race Championship in Iceland. Romel Sumiguit Baid and Sylar Merson Sy finished at 19th and 25th place in the men’s elite division with times of 8:51:00 and 9:16:00. Both athletes also qualified to the Spartan Championship. On the women’s side, Jade Abellana and Daisy Batac finished at ninth and 10th place while Lyra Valles settled for 12th place. The other finishers for Team Cebu were Edsel Flores in men’s elite and Cindy Lumindas Pilapil in the women’s elite side.